Cling-film, how I shun you. You are pervasive (enough bought every year in UK to circle the planet 30 times), unnecessary and costly to purse and planet. A single-use plastic, chemically-treated with god-knows-what to be pliable, and – unless disposed-of in an ever-growing landfill – likely to end up in the belly of a sentient being with fatal consequences. Enter our new hero: eco-wrap. Made from cotton covered with beeswax or soy wax, eco-wrap performs all the same tricks as cling-film (air-tight and malleable) but grace. Made from natural materials, it can be re-used, and cut-up and composted at the end of its life (a year or more). With cotton designs (vintage and recycled, natch), prettiness adds to its charms. Where can you get these darling things? I first came across eco-wrap as a gift from Australia (bought in Apollo Bay to be precise), Eco-wrap Byron Bay. How come I have never come across eco-wraps before, I exclaim? 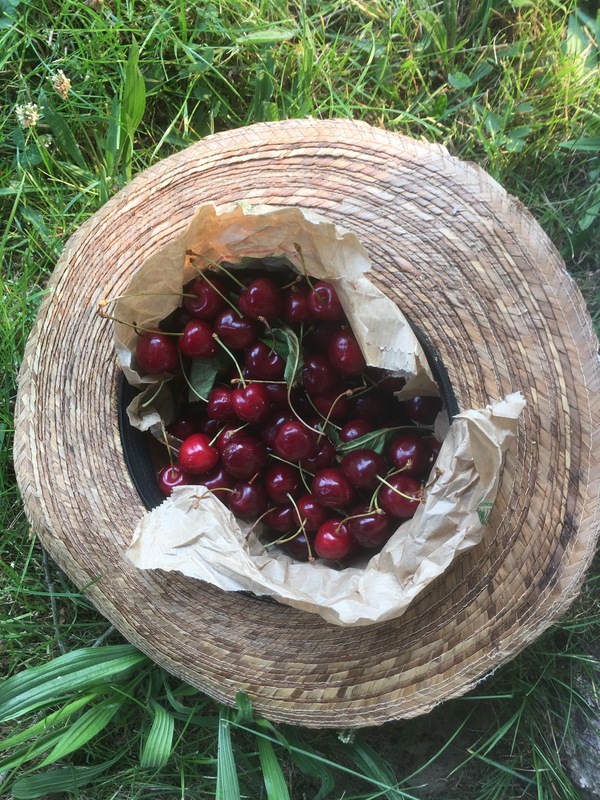 Following which, I spotted eco-wraps (below) from Cotswold-based, Beeswax Wraps, in local natural and organic food shop, Better Food Company right here in Bristol. Fancy! It turns out that Bristol also has an eco wrap business, Eco Bee Wrap, which uses Fair Trade material and trades on Etsy. Etsy has a great choice including vegan eco-wrap made from soy wax. You can make your own. Top tutorial from Newcastle-based, Phoenix Green Store, which also sells eco wraps, and videos galore on YouTube such as this one from Aannsha Jones. Eco wrap in my kitchen (must post a better pic!) Note: people do not use eco-wrap to wrap fresh meat or fish. Use a good old bowl and plate to cover instead. This is my third attempt at making kefir. Worth the effort because although the shop-bought organic one is delectable (especially Riazhenka baked milk) I am less enamoured of its plastic container and price. (And availability since it was featured on BBC’s Trust Me, I’m A Doctor and everyone went mad for kefir). 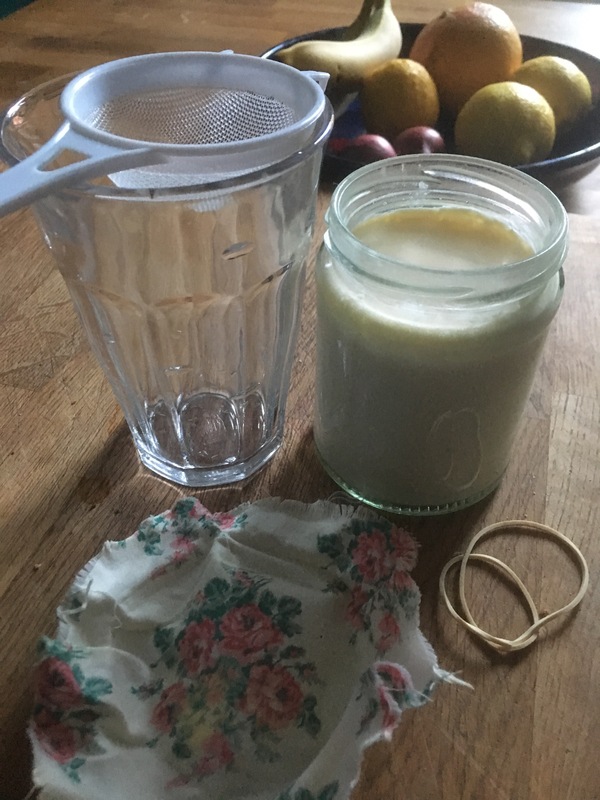 Enter a blog post on kefir by Penny’s Plate, a Bristol-based nutrionist. 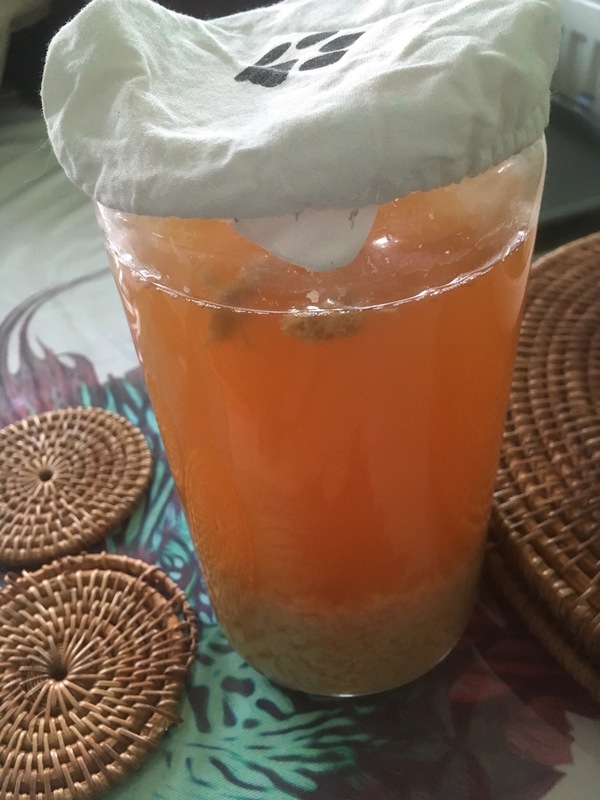 My third kefir adventure had begun. Penny kindly offered me some kefir grains, and dropped them off at our local healthy food shop. It gets better. 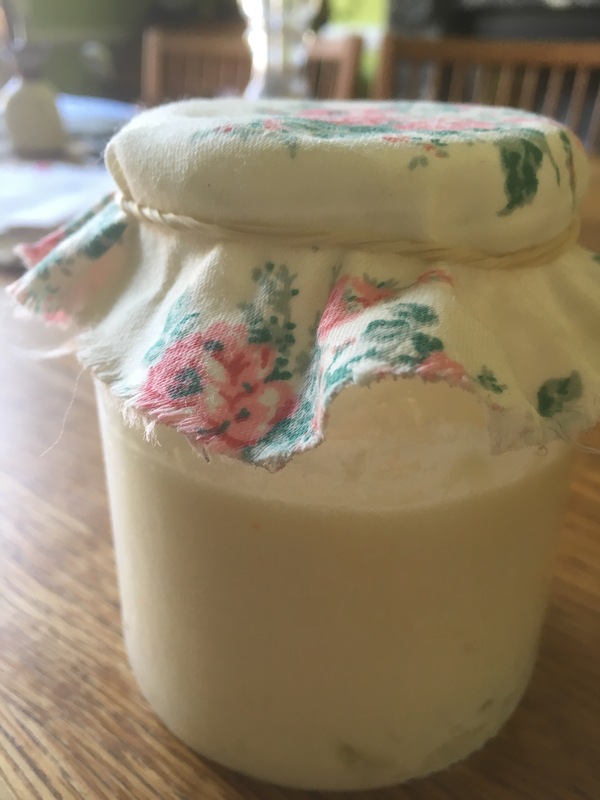 When I picked up the grains at Harvest Bristol Cooperative, I was delighted to find them in a jar with a darling fabric cover (see pic above) secured with an elastic band (the metal lid was while it was being transported). This has made everything possible. I have hitherto never achieved such a natty arrangement. The other good thing was the size of the jar. Up-to-now, I had made a pint and got overwhelmed by the amount. If you don’t like the tangy taste of kefir, add it to a banana smoothie. Why kefir? This fermented food certainly feels soothing. Apparently it helps line the gut – and a healthy gut lining enables the absorption of nutrients. According to kefir enthusiasts, it is better than yogurt because its healthy probiotic bacteria actually colonise the gut. Find someone making kefir and beg them for grains. When they arrive, put in a clean jar and top with fresh milk. 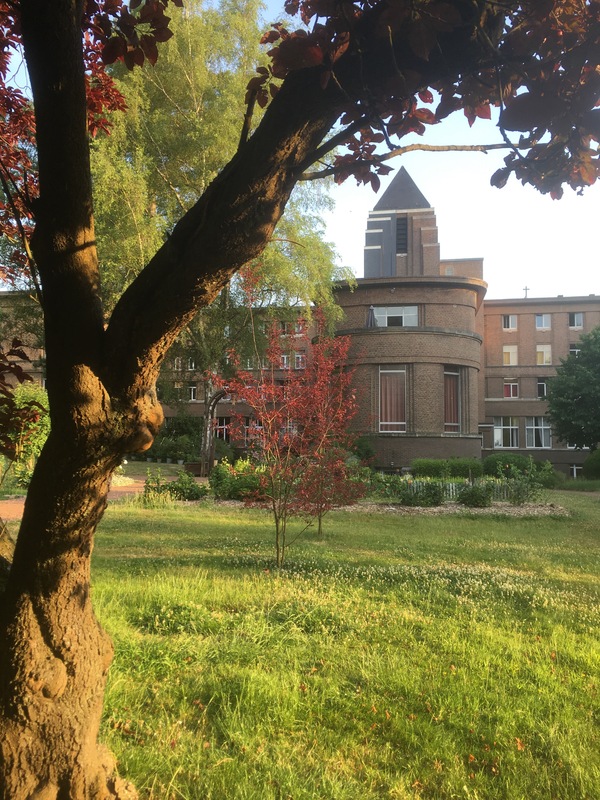 Don’t fill to the top. Cover with a breathable lid and leave to ferment for 24 hours away from direct sunlight. Strain through a plastic (not metal) sieve and drink (or store in the fridge). Start again with the strained kefir, a clean jar and fresh milk. Store unused kefir grains in the fridge covered in a little milk. The cold slows down activity. It is good to have a kefir buddy. Tasting Penny’s kefir gave me an idea what I was aiming for. I asked questions, was reassured by her replies. I felt like a new breastfeeding mother unsure of this natural yet unknown activity. Start small with less than half a pint of milk in a jar. Don’t fill it to the top but leave room in the jar for kefir to breathe. 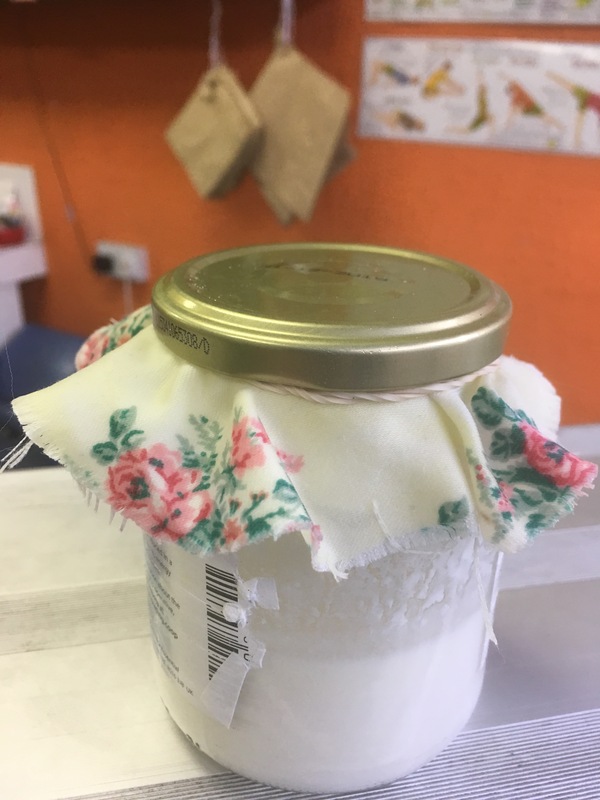 Get a fabric lid cover cut in a circle to fit generously over a jar with an elastic band to secure it. The cover needs to be breathable and clean. You could use a paper towel. Don’t forget the runner band. Successful kefir is down to the freshness and quality of the original ingredients – so choose organic milk if you can, and as fresh as possible. As for all great achievements, you have to get a bit obsessed. 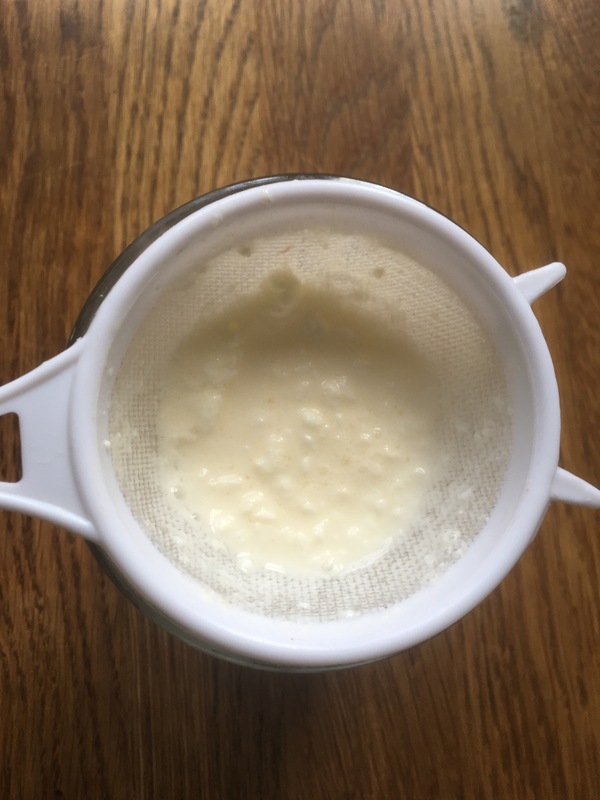 You have to fuss over your kefir, check it, swirl it, send anxious texts to your kefir buddy, look up kefir sites (one of my favourites), and hurry back home to check it is not feeling abandoned. Kefir grains are not really grains. These grain lookalikes are actually clumps of good bacteria and yeast formed from feeding on the milk. And when recipes say “refresh” the grains, it means give them fresh milk (not water as I have mistakenly done!). 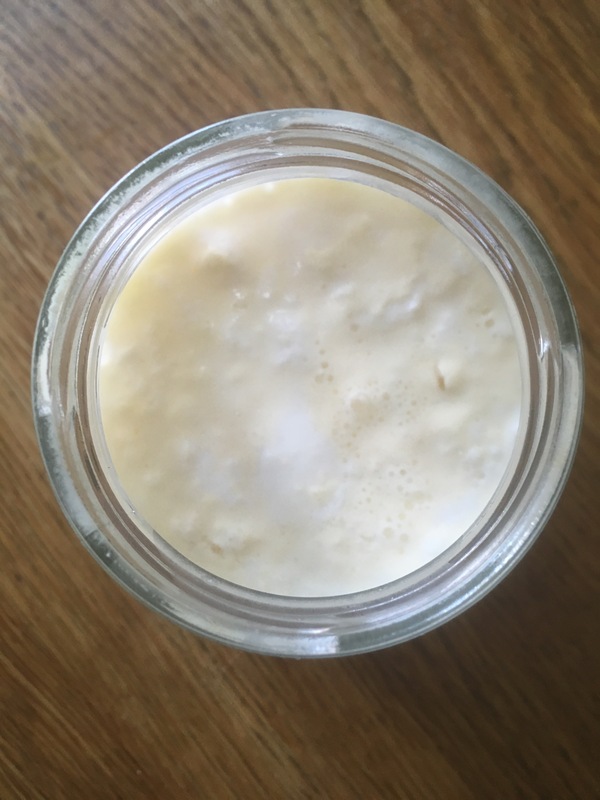 You can make vegan kefir. Like kefir ginger beer. This is how ginger beer used to be made. The real thing. Use room temperature milk. I had what the French call a mauvais quart d’heure when I thought I had murdered my grains with icy milk. I think they just slowed down. They seem to be recovering nicely now. Thank you for asking. 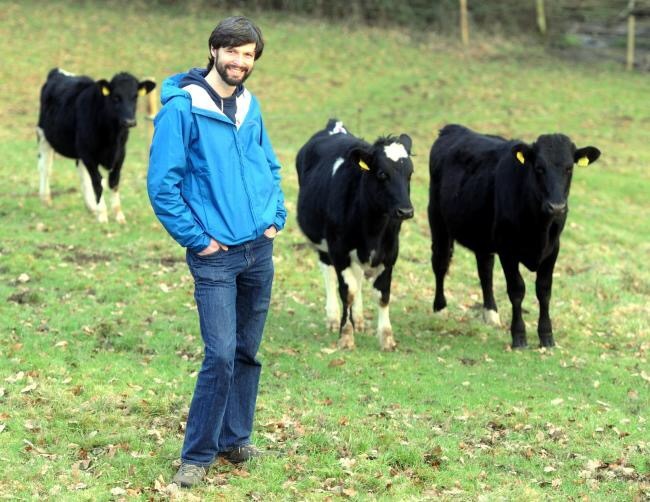 The lucky people of Stroud can now get kefir made from raw milk. 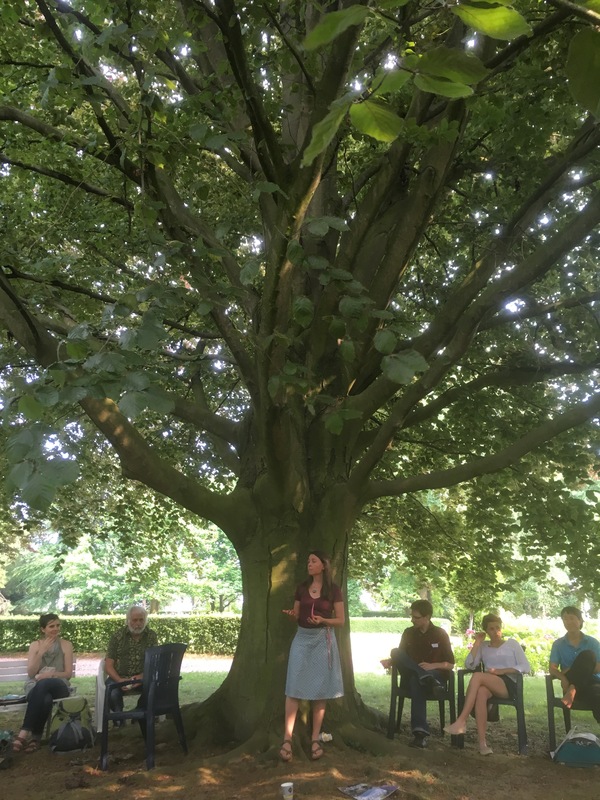 Check out the Stroud Micro Dairy which is situated on Oakbrook Farm, farmland secured by the Biodynamic Land Trust so it will be sustainable farmland for generations to come. 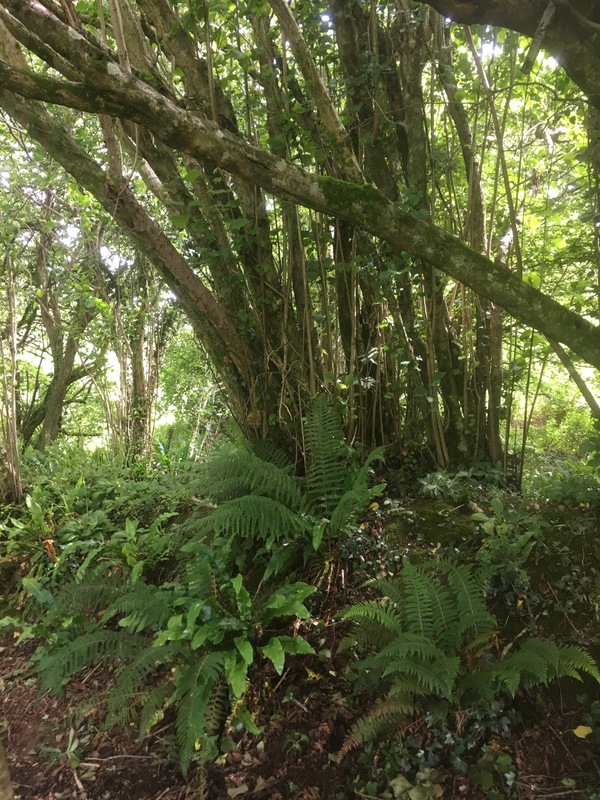 PS I am now communications manager for the Biodynamic Land Trust. Do you make kefir? Any newbie tips?